Riverview senior Brendan Herrick was 2-for-5, both hits coming in the Sharks 10-run fifth inning including a three-run home run to left field. RIVERVIEW – Jeremy Galen’s smash down the right field line had extra-bases written all over it, but the sophomore needed only to step on first base jog toward second and succumb to the smothering of his Riverview teammates as Sharks earned a walk-off, 12-11 win over Lennard, Tuesday night. Riverview (10-5) found itself looking up from a nine-run hole in the third only to claw back and take a lead with a 10-run fifth, giving the Longhorns a chance to answer back and tie the game at 11 after six innings. 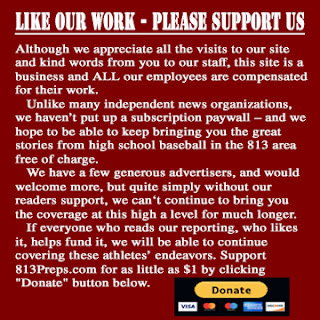 On three occasions this season, Riverview has been left standing on the field as an opponent got a walk-off hit, including the Saladino Tournament quarterfinal loss to Plant City and most recently, in last week’s district game at Bloomingdale. It was a decidedly better feeling to be on the other end according to Galen. 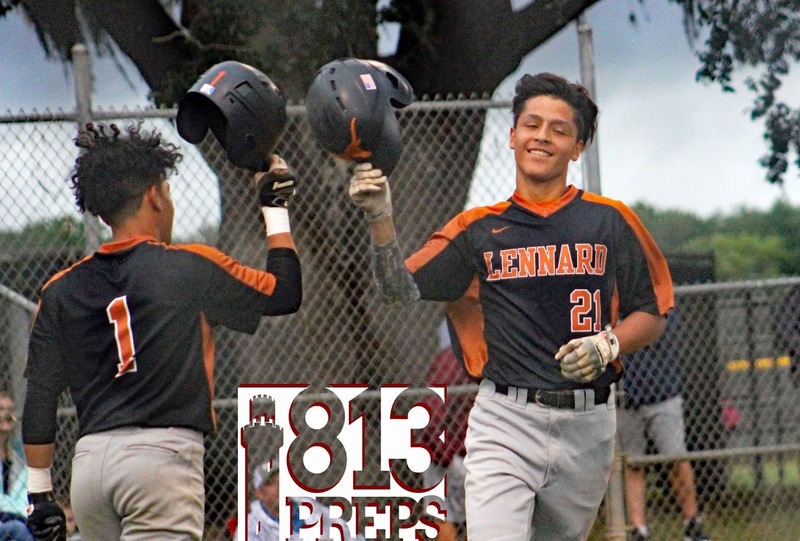 Lennard (11-3) got on the board thanks to a two-out, two-run home run from Francisco Alaniz in the second, before taking advantage of seven walks issued by Riverview pitchers and a two-run single by Hayden Hensley to plate seven as the game seemed decisively in favor of the Longhorns at the end of the third. Lennard sophomore Francisco Alaniz is greeted at home plate by Adrian Munoz after hitting a two-run home run in the second inning. Alaniz was 2-for-2, with three RBI in the game and a sac bunt. 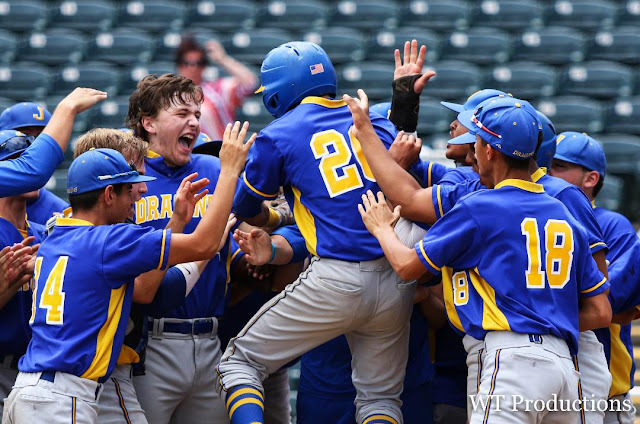 But Riverview leadoff man MacAllister Jorgensen, a fire-starter all season led off the home third with a double and later charged for third stealing the base, and never stopping as the pitch was sent skipping by the catcher allowing the Sharks first run on a wild pitch. However, it was nothing in comparison to the start the Sharks would have in the fifth. Adrian Malave, Dillon Besnier and Brendan Herrick would each single, with Herrick picking up an RBI. Then walks, hit batters a two-run double from Cameron Vigh all started to chip away at the Longhorns lead. Another RBI walk, followed by a run on a wild pitch. Chip. Chip. 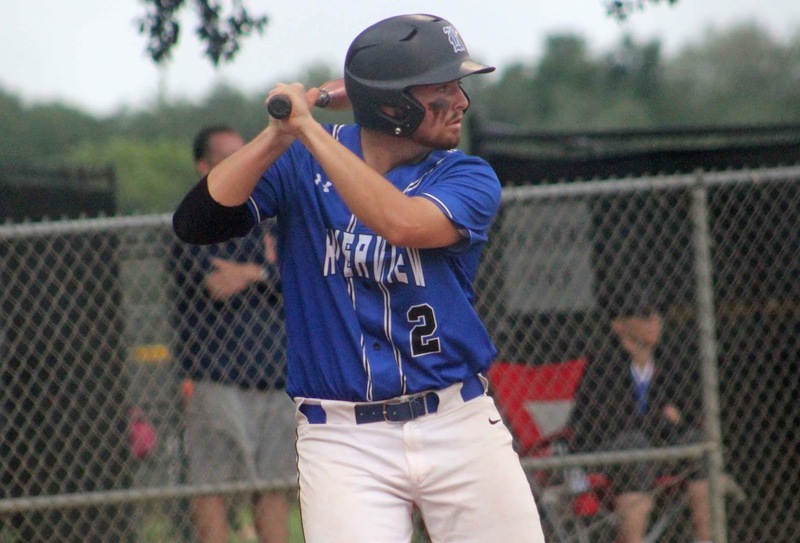 Then came the complete crumble as Herrick, who transferred from Lennard for his senior season, stepped to the plate for his second AB of the inning and belted a three-run homer over the left field wall to give the Sharks the lead. Though Herrick said knew the makeup of the team on the other side, so he said he was not surprised when the sixth inning saw the Longhorns tie the game at 11-apiece on another two-run single by Hensley. The final inning heroics from the sophomore Galen, would not be the only underclassmen statement for the Sharks as a pair of sophomore pitchers proved pivotal to the win. Jaden Ross was called upon in a tough setting with the bases loaded in the third and though an error extended the inning and the Longhorns lead, Ross worked 3 2/3 innings of much-needed relief. 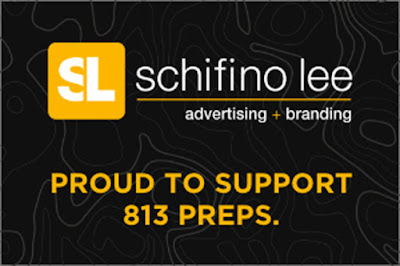 He left with a with a no-decision allowing the final two Lennard runs, but was picked up with a good seventh inning from sophomore Riley Linne who issued a walk, but worked around it with three straight-outs before his teammates got him a win in the home half.